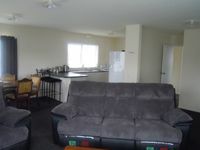 Properties in Lake Taupo average 4.5 out of 5 stars. Property 6: Cosy cottage only a short walk to town centre. Property 38: Free WiFi, Cleaning and Linen. Warm and Comfy. Property 50: Panoramic Town, Lake and Mountain Views.